Two multi-storey car parks belonging to Freshney Place Shopping Centre have excelled in parking safety standards and have been awarded Park Mark status by the British Parking Association for the 11th time. 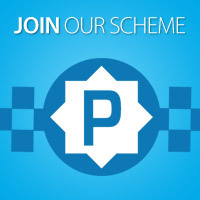 The shopping centre’s car parks – which have 890 spaces including designated areas for parent and child parking and disabled bays – have been recognised by the Safer Parking Scheme, which is a national standard for car parks with low crime and measures in place to ensure the safety of people and vehicles. Amanda Austin, Centre Director at Freshney Place said: “To receive a Park Mark Award is a great testament to our team which worked hard around the clock making sure vehicles are in a safe, clean and secure environment. 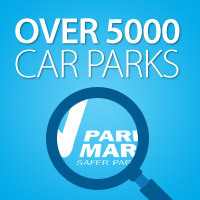 A Park Mark is awarded to parking facilities that pass a rigorous risk assessment conducted by the police and the British Parking Association. The assessments include management and maintenance of the facility, as well as ensuring that there are appropriate levels of surveillance, lighting, signage and cleanliness. These criteria are known to reduce the opportunity for crime and create a safer environment for the motorist and their vehicle. Photo from left to right; Phil Taylor, British Parking Association Area Manager, Darryl Caroline, Community Policing Team 2, Andy Barker, Crime Reduction Officer and Trace Rokahr, Designing Out Crime Officer.